A recent announcement from Volvo has committed them to making only hybrid or electric cars from 2019 and almost every automotive manufacturer has declared their intention to have fully autonomous cars available in the next three to five years. These trends present some huge challenges to the engineers tasked with designing, developing and testing these vehicles to make sure they work correctly. With the complexity of the next-generation vehicles, it will not be practical or possible within the timeframes proposed to carry out comprehensive physical testing of all the vehicle systems. Researchers say tests will need to prove with 80 per cent confidence that autonomous vehicles are 90 per cent safer than human drivers. To get to that confidence level, test vehicles would need to be driven for 11 billion miles. But it would take nearly a decade of round-the-clock testing to reach just two million miles in typical urban conditions. By using virtual testing, the scenarios that the car needs to be tested under can be condensed into a much smaller distance. In this way millions of miles of real-world driving can be condensed into a few hundred miles in the virtual environment. 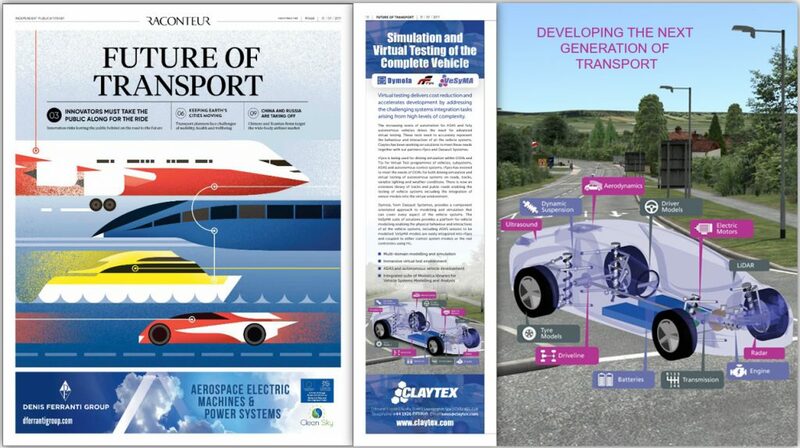 The development of virtual testing environments capable of supporting this has been underway for several years and by combining various technologies it is possible to create virtual test environments suitable for testing the next generation of transport. Some aspects of vehicle development have relied on virtual testing for many years. Control systems are usually tested on hardware-in-the-loop (HiL) test rigs where the actual vehicle control unit is connected to a real-time computer. The computer runs a model of the vehicle that can generate all the sensor signals the control unit normally receives so that the controller recognises its environment. Using HiL to test control units has enabled automotive manufacturers to reduce the amount of physical testing needed to validate much of the control system behaviour. Read the full article here.